Pokemon All Stars Triple Pack DVD Review What is not to like about it? Pokemon! Gotta Catch Em All! 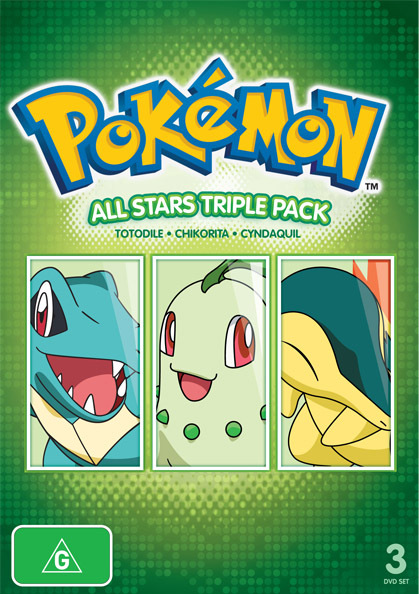 This great little triple pack of DVDs feature the following Pokemon's as their main focus - Cyndaquil, Totodile and Chikorita. Each disc spotlights on each Pokemon and the way that they interact with their Trainer; in this case Ash Ketchum. There are four episodes on each that let you know a bit more about each creature. The special feature on this DVD is simply the Pokedex which shows the evolution of Chikorita through to Bayleef to Meganium. The tales deal with the personality of Chikorita and how it can be a stubborn and sensitive little Pokemon who just needs a good trainer. The Pokedex simply outlines how Totodile evolves into Croconaw, then Feraligatr. These were a lot of fun. Totodile is a real cutie with a big mouth who gets into all sorts of mischief! The kids should really enjoy this stories about Totodile and his antics which certainly keep Ash on his toes! The Pokedex in this case shows Cyndaquil evolve into Quilava then finally into Typhlosion. Cyndaquil is an interesting Pokemon as he is a very timid addition to Ash's collection. His evolution should be of great interest to fans of the game as in his incarnation of Typhlosion, he is one Pokemon that I would certainly not mess with. Each tale is simple but nicely told and should be more than sufficient for fans. 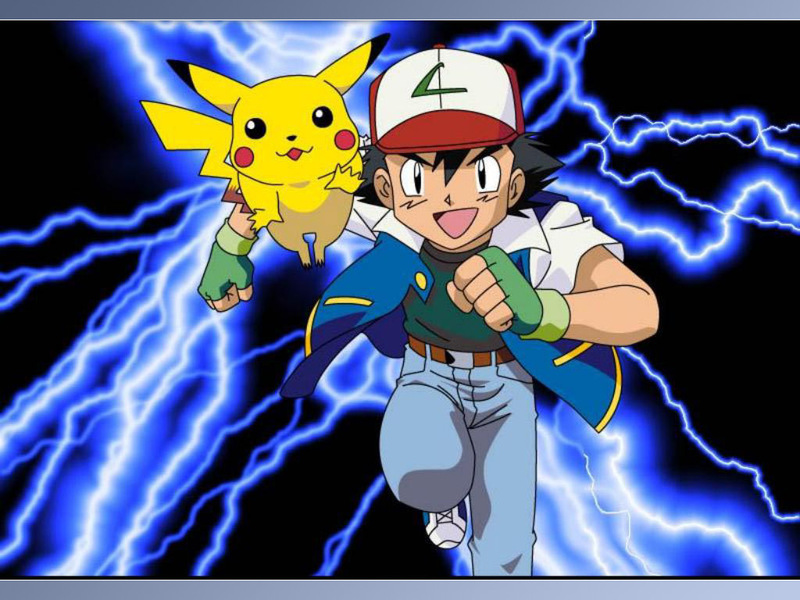 Of course Pikachu is also a focal point of all the stories as Ash's main Pokemon. Each Pokemon shown in this triple pack presents challenges for Ash and his friends, but this is also a very handy vehicle for the show to also impart some values to it's predominantly young audience. Themes presented are appropriate for even younger viewers, and I'd have no issues recommending it to those households. It's a lot of fun, the Pokemon are cute to look at, and more importantly, the stories are charming enough to even hold the attention of adult viewers. What is not to like about it? Pokemon! Gotta Catch Em All!